This is her third album and it's quite interesting because she's sort of moved away from that ethereal folk songstress, and you can just hear her starting to shift into something a bit more real and honest and human. Lyrically too it's becoming a bit more complex. 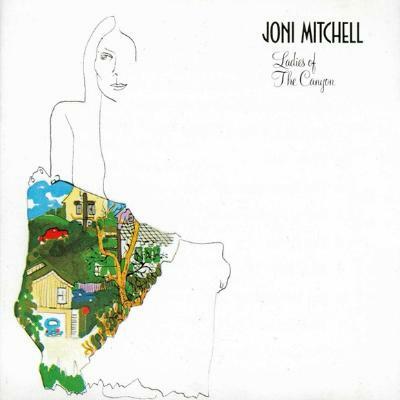 Joni Mitchell to me is the ultimate singer, songwriter and musician, but there's still a lightness and an innocence to this record. Once you start getting into Blue and that whole era - which I still equally love - there's a heaviness to it. You can hear it coming into this record but it hasn't quite taken root yet. When I was a teenager I was obsessed with that whole Laurel Canyon scene - it just seemed like paradise to me. What I love about her stuff is that she always manages to sum up the small, grey areas of relationships in just a single line. It's so deft, and musically it's incredibly satisfying. And there's more piano on this record as well, which for me as pianist was quite a big influence as well. People always think of her as a guitarist, but she's a really fantastic pianist as well.